"It’s always been a dream of mine to fight professionally and through the club, I’ve been able to reach my goals." 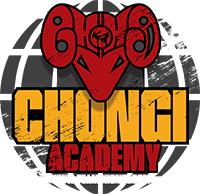 To get Team Chongi Academy fighting fit, or to just have fighting fun, Chongi Academy pulls no punches. This is the ultimate gym, local to Crewe and the surrounding Cheshire area, for all ages, all sexes, all of the time. Chongi isn’t predictable – it’s pioneering, offering a gym that’s far from the norm, providing innovative new classes, studios and training. It’s run by a time-served team who train at Chongi themselves, who care and have the credentials to nurture skill, increase stamina and build confidence. Developed around a huge soft-floor exercise area, the gym offers classes for men, women and children in mixed martial arts, boxing, Pilates and yoga. The entire family can enjoy coach-led sessions, which, thanks to mixing things up on a regular basis, are varied, fun and inspirational. Check out our high intensity, functional movement circuit training, more technical classes including Thai boxing and Brazilian Ju-Jitsu, or simply ease yourself into the Chongi challenge with a low intensity class. And to help with motivation, well-being and focus, complement your physical training with psychological training. We are more than equipped to give your head a good workout – the results will blow your mind. Constantly upgraded and continually inspected equipment is integral to the quality of Chongi, and it’s also enabled us to bring you our own exciting steer on CrossFit style training. Chongi’s unique PITT program is packed full of challenges, designed to complement existing routines and disciplines to deliver the ability to succeed time and time again. Be prepared to improve, among other things, cardiovascular/respiratory endurance, stamina, strength, flexibility, power, speed, coordination, agility, balance, and accuracy. Simply, Chongi provides a personal training style of coaching in a relaxed, friendly high-spec environment. A gym where nothing is unachievable and everything – and everyone – works together to keep you on your toes. It’s whatever you want it to be, to be whomever you want.